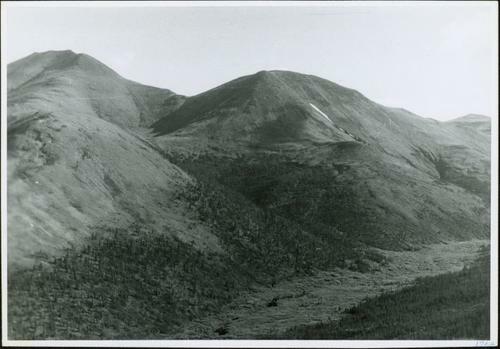 Photograph depicts range of hills, trees in valleys. Handwritten annotation on verso in blue ink: "1962". Stamped annotation on recto in blue ink: "786461".